Bootable setup file for operating system"
This is the official installation package as ISO file. You must make a bootable USB or disc from the ISO image and you are ready to install it. It is not an online installer, it is the full download version. It is an iso direct download. All you need is a valid product key to enjoy the stability and the security of this distribution. The setup files are hosted on high-speed servers, faster than torrent download or other technologies. Compared with Home version, Windows 10 Professional (Pro) includes BitLocker to encrypt and protect the data from hard disk, also includes many useful features oriented to business. 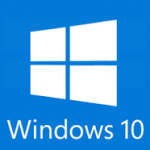 This official ISO file it is the popular version “Build 10240”. If you have already a license for Windows 7, 8 or 8.1, then you can upgrade it directly to Win 10 using the instructions from this page. You will enjoy a modern interface, intuitive across devices (tablets and phones). The Start menu is not a problem anymore as it was in Windows 8 when many users were confused about how to find different buttons and links. You will need a valid product key to install Windows or press Skip to use it in the trial period. Thanks for helping me download Windows. Thanks my brother, useful program.